The rate of change in our world is accelerating and the stakes are rising. Transformation and evolution are a way of life – thriving organizations will continue to drive impact through change for their customers, employees, partners, investors, and communities! We help you build leaders who can create a culture of innovation and transform your organization to continually drive success, creating a better future for everyone! Our approach is based on prominent research, made practical for busy leaders. We help leaders change who they are and how they do their work! 4% of leaders become strategist level – we help you move toward the elite! We help you create a culture of innovation and collaboration based in employee engagement, mutual support, trust, and collaboration. We help leaders and their organizations implement complex, enterprise-wide change. Explore the site to learn more about us. We offer free initial assessments, articles and radio interviews with major thought leaders to start your journey. 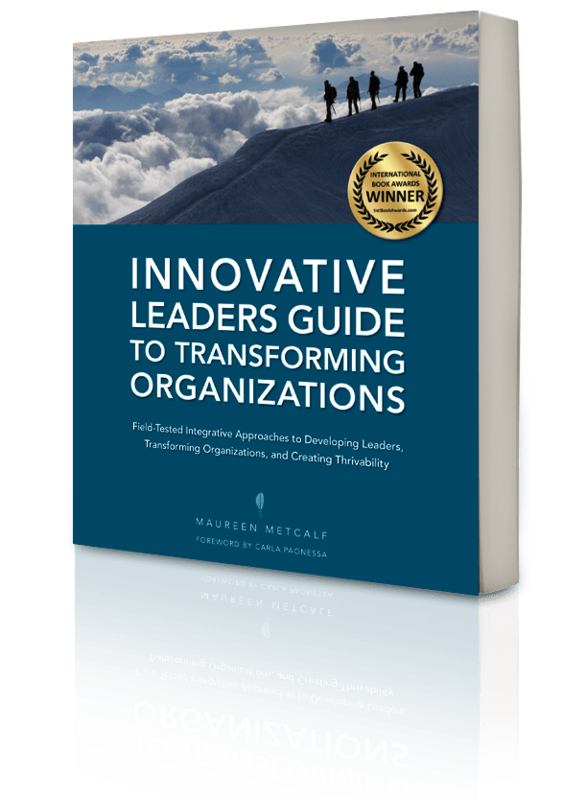 Let us help you move forward, innovate how you lead, and transform your organization.